Have you noticed how plants can look very different at different times? This can be particularly noticeable at your own home as you await the first bloom of your favorite flowers. Perhaps a gorgeous azalea or the sweet smell of a fragrant lilac in Spring, or again in Autumn when the leaves take on a myriad of vibrant colors. Similar to your home garden, bioretention gardens also go through seasonal changes. 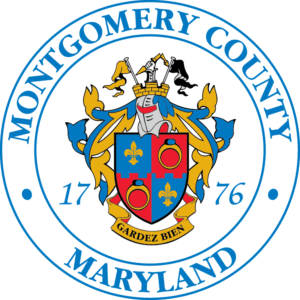 A great example is the new bioretention garden that the Montgomery County Department of Environmental Protection (DEP) constructed at Newport Mill Middle School. It is one of four Montgomery County Public School (MCPS) green infrastructure improvements constructed during summer 2017.
blue flag iris – Spring flowers. Lavender-blue flowers in late spring and attractive sword-shaped foliage during the growing season. butterfly milkweed – Summer flowers. Bright orange flowers in late spring and early summer, which as the name indicates attracts pollinators. black eyed susan – Summer flowers. Golden flowers with dark centers blooming from summer to early fall, with basal foliage persisting into winter. ‘Fireworks’ goldenrod – Summer flowers. Cascades of yellow flowers in the fall, which combines great with asters. Dense basal foliage. ‘Hummingbird’ summersweet – Summer flowers. Shrub with fragrant white flower spikes in summer which attract pollinators. Foliage turns yellow in fall. New England asters – Late Summer/Early fall flowers. Purple to violet flowers in the fall. Combines well with goldenrod. ‘Shenandoah’ red switchgrass – Elegant foliage provides contrast with other plants, turns reddish in the fall, and provides structural interest in the winter. ‘Jim Dandy’ and ‘Red Sprite’ winterberry – Winter berries. The male Jim Dandy pollinates the female Red Sprite resulting in bright red berries from fall to winter. Both shrubs have yellowish fall foliage. ‘Nordic’ inkberry – Keeps leaves year-round. Shrub with neat evergreen foliage, providing year round interest and a backdrop for other plantings. 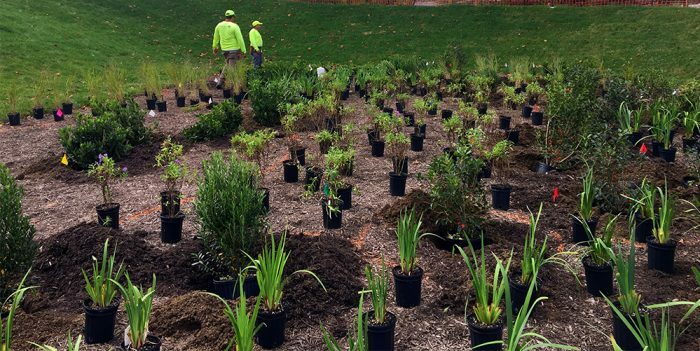 All in all, more than 1,700 shrubs, perennials, and ornamental grasses were planted! Amazing, right? Since this is the first full growing season for the bioretention garden, the plant roots will be growing and helping the plants to become established new residents of the garden. By next year, we expect the plants to be more lush and fill in the garden. We hope you follow them along as they grow. DEP’s staff will be following the garden’ progress to ensure the plants survive and are replaced as necessary under the contractor’s warranty. We’ll also be following this bioretention garden to see how it grows and changes each season. We’ll keep you updated on the growth. 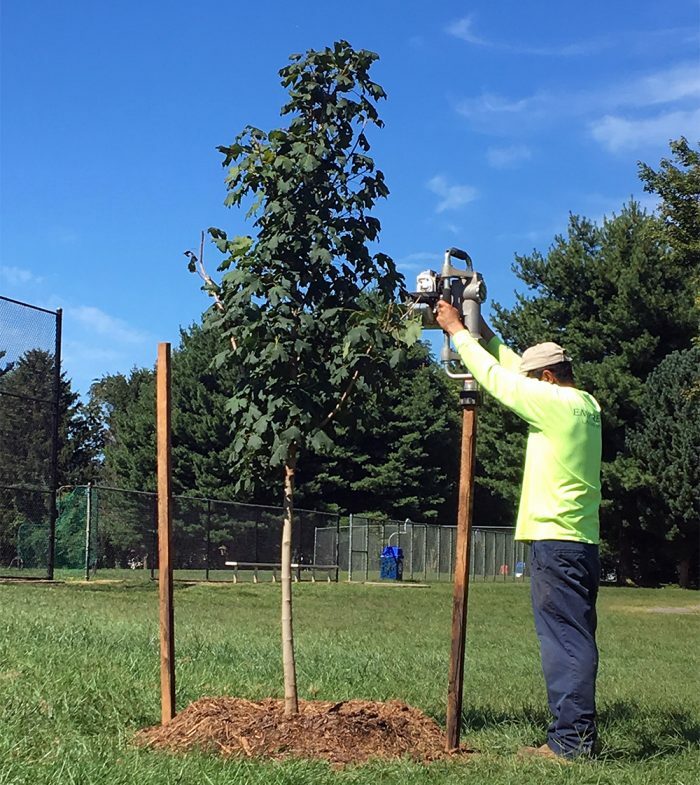 Summer 2017 – construction of the bioretention garden to improve stormwater runoff in Rock Creek, which flows into the Potomac River. Let us know if you have any questions! 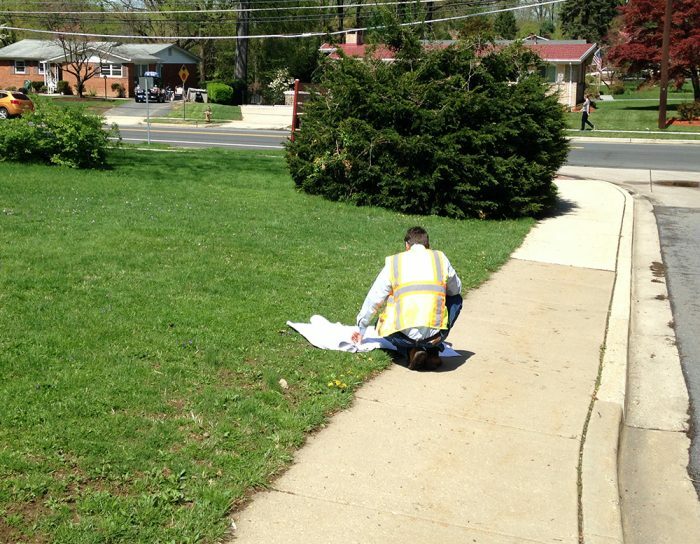 Also, stay tuned for two more MCPS green infrastructure improvements under construction this coming summer at Olney Elementary and Sherwood Elementary! For more information on how the Newport Mill Middle School bioretention garden works to improve water quality, check out our blog with the school’s Green Team from Dec 2017. October 2017 – A new bioretention garden being planted! DEP also planted trees to improve shade for students. Stay tuned for updates on how the plants grow through the seasons!